Trivandrum: The Home delivery app by Uber, Uber Eats is now available in Trivandrum. Uber Eats has started delivering from places like Paragon, Rajdhani, Supreme Bakers, Azad, Pankayam, MRA Restaurant etc Monday through Sunday from 8AM - 11:30 PM. Uber Eats is a new on-demand food delivery app that helps bring millions of people the food that they want at the tap of a button. Partnering with nearly 50+ restaurants in Trivandrum, Uber Eats offers meals for every taste and occasion. 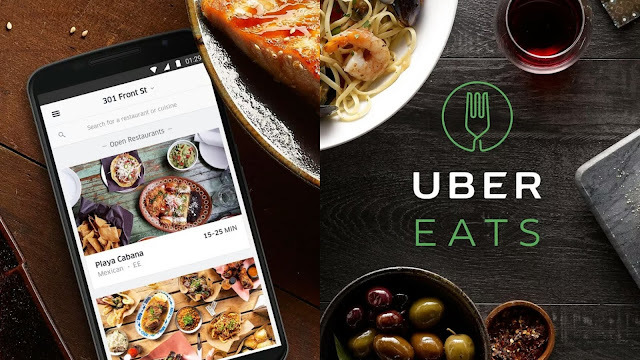 Uber Eats offers a wide-selection of cuisines, all conveniently available in one place and delivered fast and fresh--with the reliability and speed you’ve come to expect from Uber.